Police work, famous cases? The Dewey is 364. 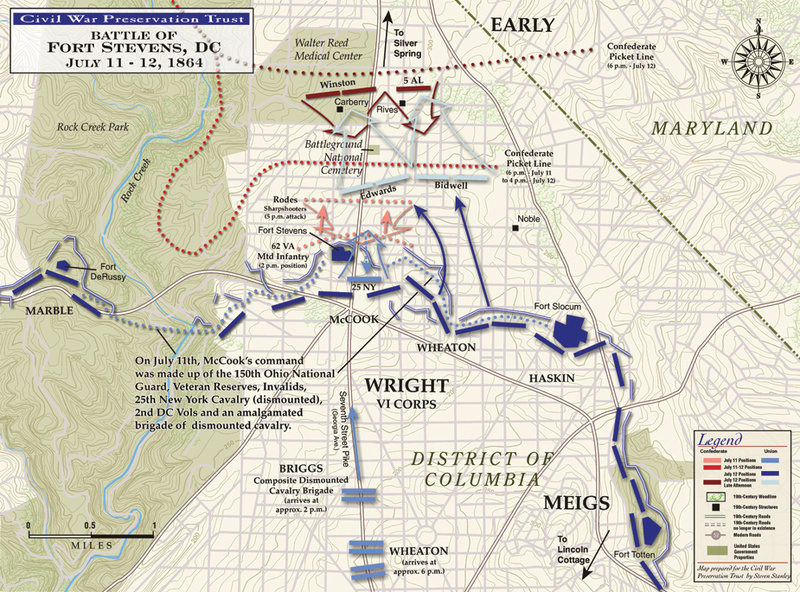 Jubal Early’s 11,000 Confederate troops invaded Washingon, marching down what is now Georgia Avenue in Silver Spring. They were stopped at Fort Stevens, which is only 1.58 miles from where this library now stands. Fort Stevens was manned by recruits, disabled veterans and civilians. Lincoln himself went to the fort to survey the battle. Who owned the land on which Fort Stevens stood? Elizabeth Thomas, a free black woman. Visit Fort Stevens to participate in the many events this weekend, the 11th, 12th and 13th of July 2014. The Confederate far left extended into what became Takoma Park. Can you see where the Confederate picket line on the 10th crosses Willow Avenue? We have a Conserve InsightTM Energy Use Monitor available which you may check out from the library for three weeks. Bring your library card. The kit has two parts: the monitor itself and a manual. Curious? Here is the user guide.